2 images. 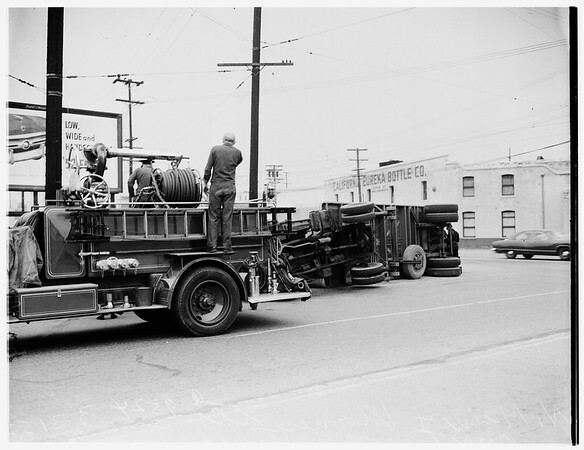 Accident at North Main Street and Vigness Street... Truck and trailer overturned, 31 March 1952. Firemen checking damage. (Sleeve reads: A9524).